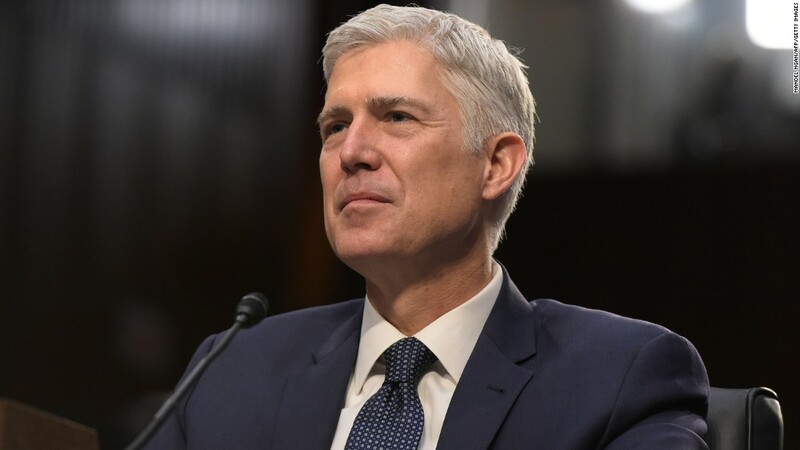 • Swearing in: Gorsuch will be sworn in as associate justice in a private ceremony at the Supreme Court on Monday. • Who will do it: Chief Justice Roberts will lead that ceremony at 9 a.m. ET. • At the White House: Later that morning, Justice Kennedy will administer the oath at a public ceremony at White House. • Why Kennedy: It was Gorsuch's request. He and Kennedy have a special relationship: It's the first time a law clerk and his justice will sit on the bench together. • Who else will attend: The justices and spouses plan to be at the white house ceremony itself. Not clear how many justices will attend at this point. Where does he stand on the issues? Click the reference link below to find out. --Execution Time: 4/20/2019 5:43:37 AM - 4/20/2019 5:43:37 AM = 0.0937146 sec.